Even an investigation into reported fires in Jeep Wranglers didn't slow its sales in the U.S., and it remains one of Chrysler's best-selling products. But the Chinese government is still looking for answers as to why the Jeeps suddenly go up in flames. Reuters reports that the Chinese General Administration of Quality Supervision, Inspection and Quarantine has urged Chrysler to find a fix for the fires linked to defective gearboxes. 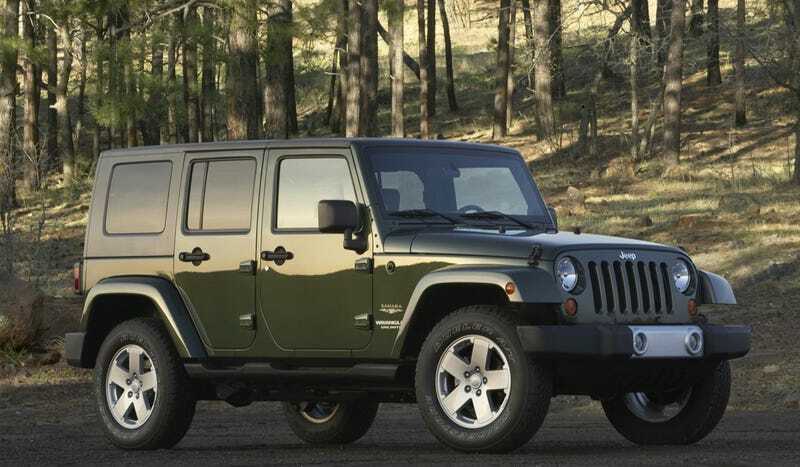 The NHTSA launched an investigation into Wrangler fires in March 2012 over more than 65,000 2010 Wranglers with automatic transmissions, but then closed the case in August of that year. China went so far as to block the importation of 2011 Wranglers for a time, but that was lifted after Chrysler had reportedly fixed any fire risk. Still, the quality agency is working with Chrysler to come up with a solution that will satisfy the government. Reuters reports this same agency has recently taken a harder look at product issues in China.